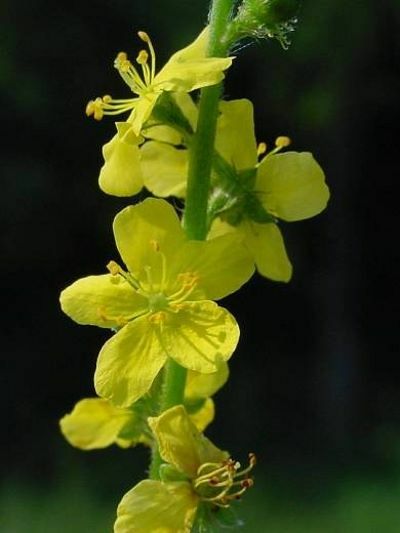 Description: Agrimony is a tall, erect-growing perennial herbaceous plant. It is a species of roadsides, hedgebanks, dunes, chalk quarries etc. The fruits have a crown of spines which project upwards. One tries to suppress tormenting feelings, thoughts and an inner disquiet hiding them behind a faÃ§ade of emphatic happiness and light-heartedness.